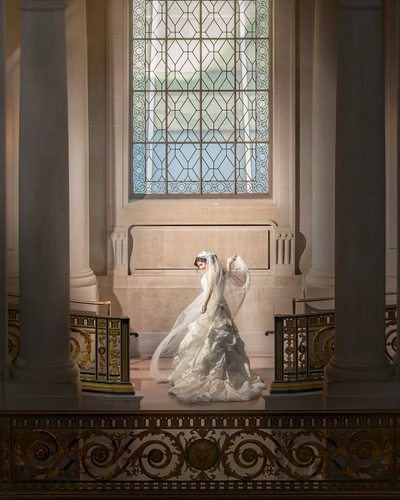 We are specialists in capturing the beauty of your wedding day in the magnificent surroundings of City Hall. 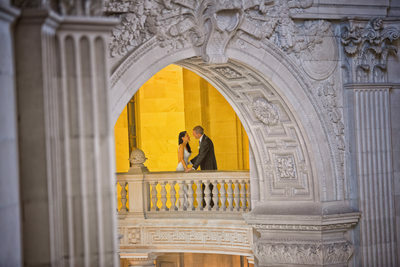 We serve both local and destination wedding clients from all over the world. 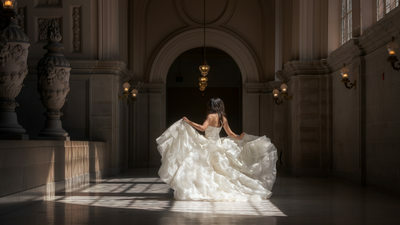 Photography packages are available for just Ceremony coverage or all day premium photo tours with transportation included. 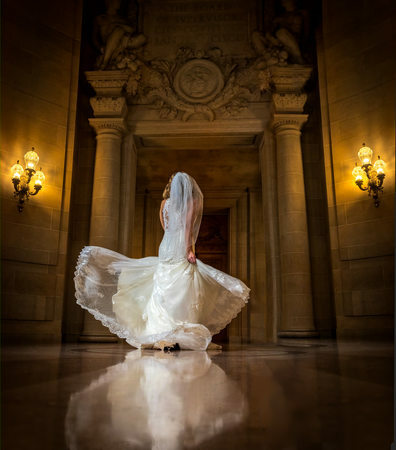 No matter what package you select, you will get absolutely stunning photographs that exceed your wildest dreams. 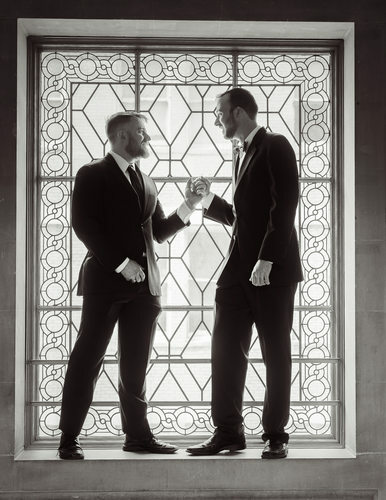 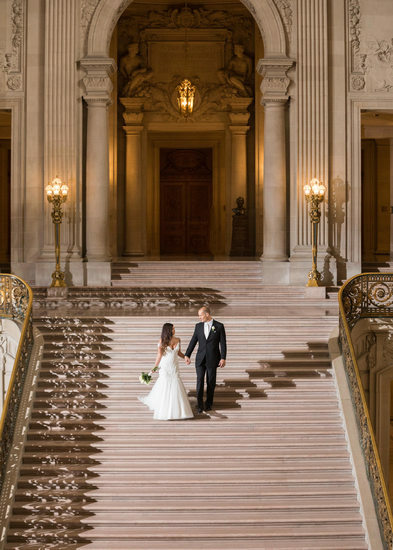 WE LIVE TO MAKE YOUR SAN FRANCISCO CITY HALL WEDDINGS UNFORGETTABLE. 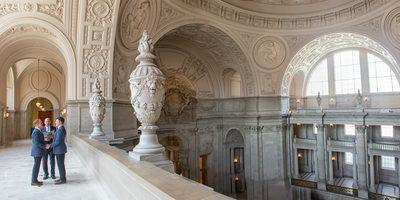 WE DREAM OF CREATING THE MAGIC AT THE MOST BEAUTIFUL CITY HALL IN THE COUNTRY (IT'S NOT EVEN CLOSE). 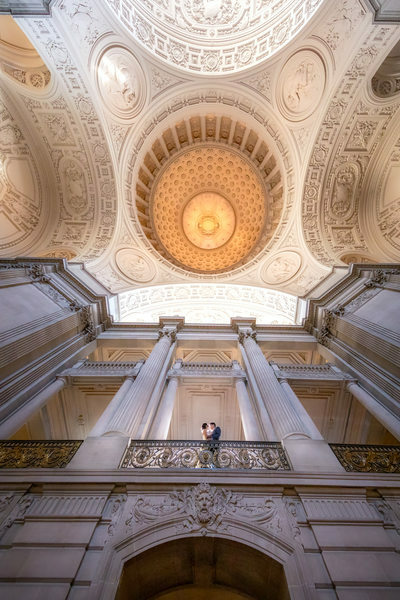 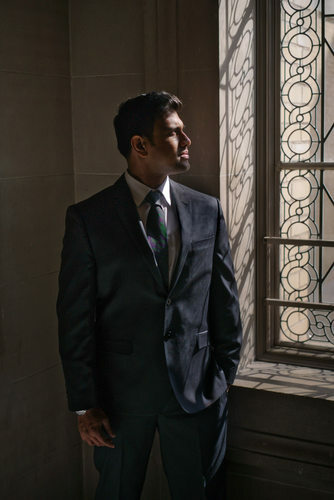 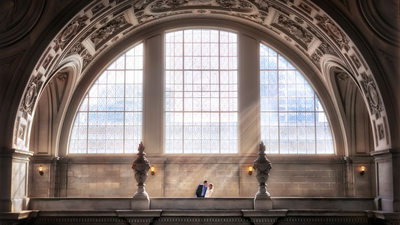 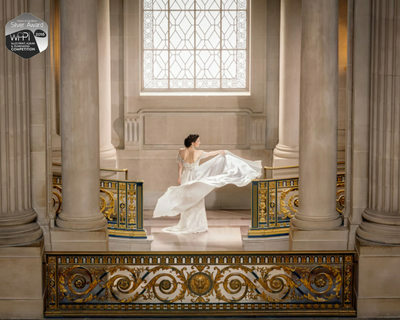 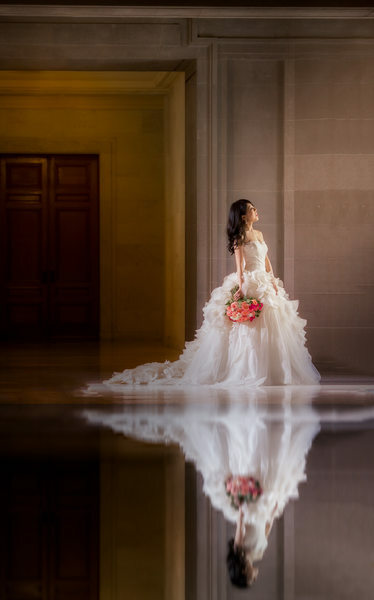 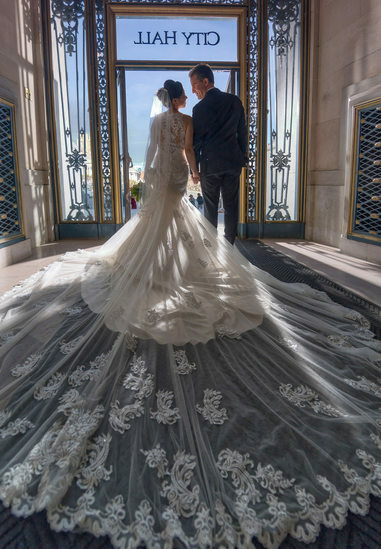 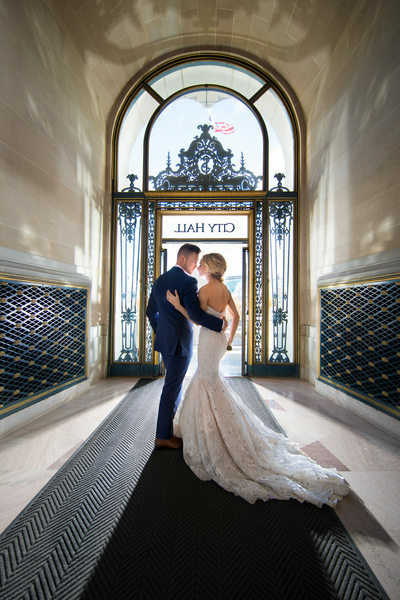 Yes, it's hard to take a bad photo at place like San Francisco City Hall, but with expert lighting and posing your photos will take on another dimension. 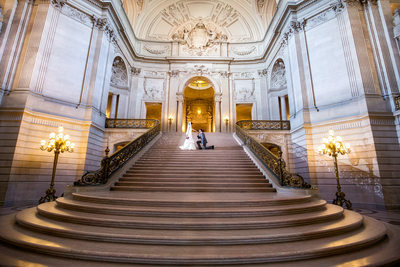 The most romantic and beautiful building on the west coast offers four majestic floors that inspire lifelong memories. 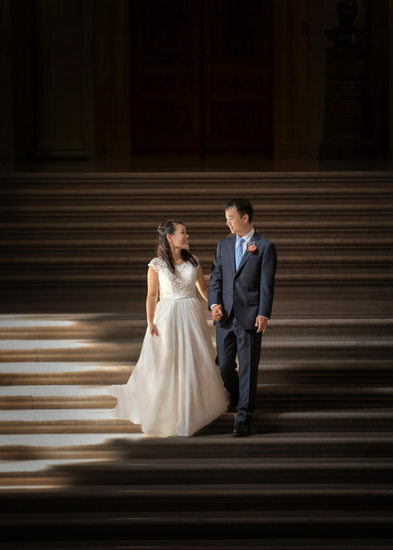 Couples beam with joy as they are joined in formal & loving marriage is always inspiring to us all. 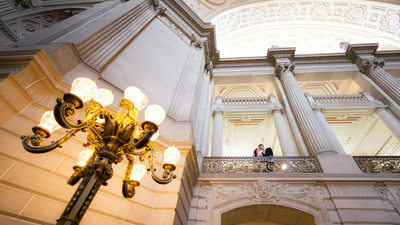 We know how to navigate even City Hall even on the busiest days and your photos will be as intimate and unique as your memories.